Be careful not to allow your accountant, administrator or financial planner to reset any pension that has been grandfathered under the new pension deeming rules that came in on Jan 1st 2015 without getting advice on the current and possible future consequences at the current and higher deeming rates. 1. It’s all about timing! 2. Review Your Concessional Contributions – 30K under 49 and $35K if you were 49-64 this year and then work test applies for 65+. Maximise contributions up to concessional contribution cap but do not exceed your Concession Limit. The sting has been taken out of Excess contributions tax but you don’t need additional paperwork to sort out the problem. So check employer contributions on normal pay and bonuses, salary sacrifice and premiums for insurance in super as they may all be included in the limit. Have you considered making non-concessional contributions to move investments in to super and out of your personal, company or trust name. Maybe you have proceeds from and inheritance or sale of a property sitting in cash. As shares and cash have increased in value you may find that personal tax provisions are increasing and moving some assets to super may help control your tax bill. Are you nearing 65? then consider your contribution timing strategy to take advantage of the “bring forward” provisions before turning age 65 to contribute up to the $500,000 lifetime limit based on contributions since 1 July 2007. Check your eligibility for the co-contribution and if you are eligible take advantage. Note that the rules have changed and it is not as attractive as previously but it is free money – grab it if you are eligible. If you want to move any personal shareholdings into super you should act early. The contract is valid once the broker receives a fully valid transfer form not before. You should review your pension documentation and check if you have nominated a reversionary pension. If not, consider your family situation and options to have a reversionary pension. This is especially important with blended families and children from previous marriages that may contest your current spouse’s rights to your assets. Also consider reversionary pensions for dependent disabled children. the reversionary pension may become more important with the application of the proposed budget measure on $1.6m Transfer limit to pension phase. If funds already in pension and reverting to another person then not necessarily subject to the ca p for the reversionary pensioner but ATO will have to clarify this later. For super funds that receive employer contributions it’s important to take note that since 2014 the ATO has been gradually introducing SuperStream, a system whereby super contributions are received and made electronically. If SuperStream compliancy does not already apply to you and you’re not aware of the SuperStream compliancy guidelines, you have until June 30 to familiarise yourself with the obligations. The ATO has given employers with 19 or fewer employees until October 28th, 2016, to become SuperStream compliant. All funds must be able to receive contributions electronically and will need to obtain an Electronic Service Address (ESA) to receive contribution information. If you are not sure if your fund has an ESA, contact your fund’s administrator, accountant or your bank for assistance. Many employers are in the process of registering for SuperStream and may ask SMSF members for their ESA, ABN and bank account details. Some employers may also ask for your Unique Superfund Identifier (USI) – for SMSFs this is the ABN of the fund. Don’t leave it until June, review your Self Managed Super Fund now and seek advice if in doubt about any matter. Liam Shorte is a partner in VERANTE Pty Ltd, as a Corporate Authorised Representative of Magnitude Group Pty Ltd (ABN 54 086 266 202, AFSL 221557). The information in this article is provided for illustrative purposes only and does not take into consideration your personal circumstances. You are encouraged to seek financial advice suitable to your circumstances to avoid a decision that is not appropriate. Any reference to your actual circumstances is coincidental. Magnitude and its representatives receive fees and brokerage from the provision of financial advice or placement of financial products. Our copy of our Financial Services guide can be obtained by clicking here or visiting our main http://www.verante.com.au website. First thing to note is that June 30th falls on a Thirsday this year so be careful about doing anything for your fund after the 27th as funds transferred risk not reaching the destination account before the deadline. Remember it is when the funds are received by the Superannuation fund that counts. Have you considered making non-concessional contributions to move investments in to super and out of your personal, company or trust name. Maybe you have proceeds from and inheritance or sale of a property sitting in cash. As shares and cash have increased in value you may find that personal tax provisions are increasing and moving some assets to super may help control your tax bill. Are you nearing 65? then consider your contribution timing strategy to take advantage of the “bring forward” provisions before turning age 65 to contribute up to $540,000 this year or $180K this year and up to $540,000 next year before you turn 65. This is a simple no/low-cost strategy I recommend everyone look at especially with the Government moving on taxing higher balance accounts. See my blog about this strategy here. The minimum payment amounts have been by 25% for the 2012-13 years. The following table shows the minimum percentage factor (indicative only) for each age group. For those who may have a large taxable income this year (large bonus or property sale) and are expecting a lower taxable next year you should consider a contribution allocation strategy to maximise deductions for the current financial year. This strategy is also known as a “Contributions Reserving” strategy but the ATO are not fans of Reserves so best to avoid that wording! Have you provided special terms (low or no interest rates , capitalisation of interest etc.) on a related party loan? Then you need to review your loan agreement and get advice to see if you need to amend your loan. Have you made all the payments on your internal or third-party loans, have you looked at options on prepaying interest or fixing the rates while low. Have you made sure all payments in regards to Limited Recourse Borrowing Arrangements (LRBA) for the year were made through the SMSF Trustee? If you bought a property using borrowing, has the Holding Trust been stamped by your state’s Office of State Revenue. First thing to note is that June 30th falls on a Tuesday this year so be very careful about doing anything for your fund after the 26th as funds transferred from Friday the 26th risk not reaching the destination account before the deadline. Remember it is when the funds are received by the Superannuation fund that counts. This is a simple no-cost strategy I recommend everyone look at especially with the Government moving on taxing higher balance accounts. See my blog about this strategy here. 12. Reversionary Pension is often preferred option to pass funds to spouse or dependent child. 16. June Contributions Deductible this year but can be allocated across 2 years. As always please contact me if you want to look at your own options as we are currently taking on new clients. We have offices in Castle Hill and Windsor but can meet clients anywhere in Sydney or online via Skype. Plant or Equipment in an SMSF? I get this question on Plant and Equipment financing regularly from business clients with an SMSF. The technical answer is yes subject to complying with the regulatory provisions of SIS Act. In reality for most businesses the answer is most likely NO as there are so many ways you can breach one or more of the rules governing this area. Let’s look at some of those rules. Firstly it is a requirement that a SMSF and any assets it considers purchasing must meet the Sole Purpose Test. However a SMSF can have up to 5% of fund’s assets in invested “in-house” assets without breaching the rule so if the equipment’s value were less than 5% of the funds total value then you would not be in breach of this rule….but remember the other rules hold equal importance. Also it is important that this rule is met on an ongoing basis so if stock markets drop or cash is taken out of the fund for pensions you need to revisit the value of the in-house asset. Let’s say you have $600,000 in your SMSF and you want to purchase an excavator for $25,000 to lease to your own business. 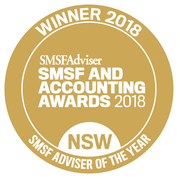 The SMSF Trustees do their research and minuted how they calculate a lease rate that takes into account market return on their investments, allows for the depreciation of the asset and insists on the insurance of the vehicle with its interest noted on the policy to protect its investment. They are satisfied that this provides a decent return for the fund not correlated to the other assets of the funds invested in shares and term deposits. Sole Purpose, S62 and S52 satisfied. They ascertain that the business could be approved to obtain finance for the excavator from a third-party on similar terms. Section 65 met as clear finance available elsewhere and that this is not the reason why the arrangement is being entered into. As the value of the excavator ($25k) is less than 5% of the fund ($30K) it does not breach the In house asset rule. This needs to be monitored annually. So in summary, yes it can be done but in reality there are so many ways you can trip up that it is really not worth the hassle and raising the eye of the ATO or challenging your Auditor’s patience. Your first step is to engage your Accountant and a SMSF Specialist before considering these types of strategies. I would be interested to receive comments from people who have implemented these strategies. Why not checkout my article ” What can my SMSF invest in?” as a good place to start. The latest ASIC REPORT 337: SMSFs: Improving the quality of advice given to investors includes a useful checklist for those dealing with SMSF advice to the normal person in the street or in technical terms “retail clients”. It also includes some useful examples. Here is the Checklist and I would suggest all those including Licensed Accountants, Financial Planners, Lawyers, Mortgage Brokers, Property Developers and Share Brokers be prepared to ensure your clients have considered all 32 issues raised or you leave yourself open for scrutiny and litigation if you have been involved in the recommendation of the structure. Have you considered a SMSF and sought advice? Did your “adviser” mention these issues? (b) provide investors with a copy of key ATO publications with their SOA to ensure investors understand their obligations. 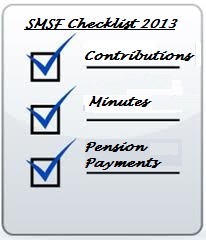 (t) ensure that the money in the SMSF is only accessed by members when the trust deed and law allow it. C3 You should explain to investors that, within 21 days of becoming an SMSF trustee, they will need to complete the ATO’s trustee declaration. C4 You should walk investors through the ATO’s trustee declaration, explain each obligation and duty, and allow investors to ask any questions about their obligations. C5 If you do not adequately understand the role and obligations of SMSF trustees, it is inappropriate for you to advise investors about SMSFs. C6 You should discuss the investor’s fund balance size and whether it is likely to be cost-effective for the investor to set up an SMSF. Cost is just one factor to consider and does not mean by itself that an SMSF will be appropriate or inappropriate for the investor. and explain these costs to the investor before making a recommendation to establish an SMSF. willingness to manage the fund and meet their trustee obligations on an ongoing basis. (g) the investor has a low level of financial literacy. C10 You should explain to investors approaching the pension phase that there may be a point at which the SMSF may cease to be cost-effective because fixed costs will remain constant or increase while the balance of the fund diminishes. (a) For investors who are individual trustees, what will happen if one of the trustees dies? (b) If one trustee (the controlling trustee) is more actively involved in the day-to-day management of the SMSF, what will the less active trustee do if the controlling trustee is unable to manage the SMSF? C12 You should warn investors looking to set up an SMSF about the lack of Government compensation available to SMSFs. This information will help investors properly weigh up whether an SMSF structure is right for them. C13 You should warn investors that SMSF trustees and members do not have access to the Superannuation Complaints Tribunal (SCT) to resolve complaints. C14 You should explain the advantages and disadvantages of establishing an SMSF with a corporate trustee versus individual trustees, and provide investors with relevant ATO publications via hard copy or web-links. C15 If the investor’s proposed membership structure of an SMSF is unusual, you may need to spend more time discussing the duties and obligations of trustees, the risks associated with the membership structure, and the importance of having a well documented, specific investment strategy and a trust deed that contains dispute resolution clauses. C16 You should reiterate the role and responsibilities of trustees, and explain that, even if one trustee is less actively involved, they are equally liable for the SMSF’s compliance with the superannuation and tax laws. (f) the impact of the insurance recommendation on the investor’s SMSF balance. C18 If you identify an investor needs advice on insurance, you must consider and advise the investor on their insurance needs before recommending an SMSF be established. If you do not have the necessary expertise to provide insurance advice, you should notify the investor and refer the investor to an advice provider who has the expertise to provide the advice. C19 You should explain to investors the sole purpose test and the requirement for investments to be made and maintained on an arm’s length basis. C20 When you are advising investors on their SMSF investment strategy, you should explain the benefits of asset diversification and investing across a number of asset classes (e.g. shares, real property and fixed interest products) in a long-term investment strategy. C21 You should explain to investors that some investments are restricted and that it is the trustee’s obligation to ensure that the SMSF does not make restricted Investments: see tip C2(i). C22 You should explain to trustees that they are required to regularly review the fund’s documented investment strategy to ensure that it suits the needs of fund members. light of the investor’s financial situation, needs and objectives. In particular, you should set out why the investment is appropriate, rather than a diversified investment portfolio, and whether the investment will generate a sufficient return to fund the investor’s retirement needs and, if not, what the exit strategy is and any costs or risks associated with this exit strategy. C24 You should explain to investors that the SMSF investment strategy is likely to change as members approach the retirement phase and their needs and circumstances change. C25 If an investor has a preference towards a real property investment, you should consider whether the real property investment is appropriate. 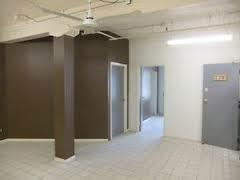 (f) what the investor will do if the property is not rented for a period. Note: If the investment property is not the SMSF’s sole asset, you may need to spend less time discussing the above issues. C27 When recommending an SMSF, you will need to explain the charges and significant consequences the investor will, or may, incur as a result of changing (fully or partially) from an APRA-regulated fund to an SMSF. C28 When discussing the consequences of a switch, you will need to use language and concepts that the investor will understand. 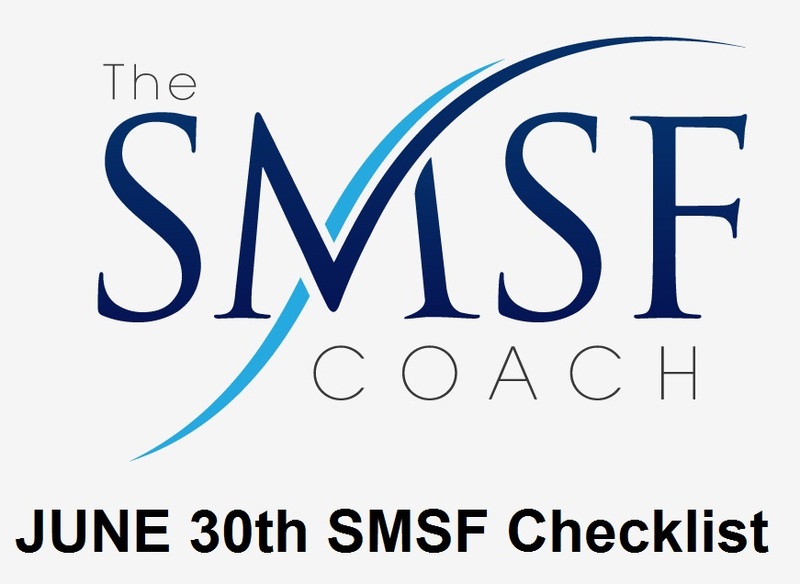 C29 If you assess an investor has a low level of financial literacy; an SMSF will not be an appropriate retirement savings vehicle for the investor. C30 Before recommending an SMSF to an investor, you should consider whether an APRA-regulated fund will meet the financial situation, needs and objectives of the investor. Many APRA-regulated funds now offer a DIY investment option. C31 APRA-regulated funds may be more cost-effective for investors than an SMSF, depending on the size of the investor’s superannuation balance, and the extent to which the SMSF trustee(s) would engage external professionals to undertake administrative and other functions. 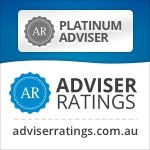 As a licensed Financial Planner and Accredited SMSF Specialist Advisor™ I can and do assess these 32 points with my clients and under my license I am required to put the recommendations in writing after considering and high lighting the above points. There is therefore less chance of me recommending a SMSF to a person not suited to running one but if that should happen they may have recourse to my Professional Indemnity Insurance. However if they have received the advice to set up a SMSF from an unlicensed person then they may have no recourse to PI as that person’s cover would most likely exclude such claims. OK so here we are already in the last quarter and with only 3 months to the end of the financial year to get our fund in order and ensure we are making the most of the strategies available to us. Here is a check-list of the most important issues that you should address with your advisers well before the year-end. First thing to note is that June 30th falls on a Sunday this year so forget about doing anything for your fund after the 27th as funds transferred from Friday the 28th are unlikely to hit an account before the 1st July. Maximise contributions up to concessional contribution cap but do not exceed the 25 K Concession Limits that applies to everyone who is eligible to contribute this year. Excess contributions tax is nasty and should always be avoided. So check employer contributions on normal pay and bonuses, salary sacrifice and premiums for insurance in super as they may all be included in the limit. Have you considered making non-concessional contributions to move investments in to super and out of your personal, company or trust name. May you have proceeds from and inheritance or sale of a property sitting in cash. As shares and cash have increased in value you may find that personal tax provisions are increasing and moving some assets to super may help control your tax bill. Are you nearing 65, then consider your contribution timing strategy to take advantage of the “bring forward” provisions before turning age 65 to contribute up to $450,000. Check your eligibility for the co-contribution and if you are eligible take advantage. Note that the rules have changed and are very different from previous years. To calculate the super co-contribution you could be eligible to receive based on your income and personal super contributions, use the Super co-contribution calculator. If you are planning on claiming a tax deduction for personal concessional contributions you must have a valid ‘notice of intent to claim a tax deduction’. If you intend to start a pension this notice must be made before you commence the pension. Consider splitting contributions with your spouse, especially if your family has one main income earner with a substantially higher balance. This is a simple no cost strategy I recommend everyone look at especially with the Government moving on taxing higher balance accounts. See my blog about this strategy here. Review any capital gains made during the year and over the term you have held the asset and consider disposing of investments with unrealised losses to offset the gains made. If in pension phase then consider triggering some capital gains regularly to avoid building up an unrealised gain that may be at risk to government changes in legislation like those proposed this year. Review your investment strategy and ensure all investments have been made in accordance with it, and the funds deed. Also, make sure your investment strategy has been updated to include consideration of insurances for members. See my article of this subject here. Don’t know what to do..call us. For those who may have a large taxable income this year and are expecting a lower taxable next year you should consider a contribution allocation strategy to maximise deductions for the current financial year. This strategy is also known as a “Contributions Reserving” strategy but the ATO are not fans of Reserves so best to avoid that wording! Regulations now require assets to be valued at market value each year, ensure that you have re-valued assets such as property and collectables. Here is a good article by Liz Westover of the Institute of Chartered Accountants on the subject. If your fund has any investments in in-house assets you must make sure that at all times the market value of these investments is less than 5% of the value of the fund. Do not take this rule lightly as the new penalty regime will make it easier for the ATO to apply fines for smaller misdemeanours. Review any Binding Death Benefit Nominations (BDN) to ensure they are valid and still in accordance with your wishes. Also ensure you have appropriate Enduring Power of Attorney’s (EPOA) in place allow someone to step in to your place as Trustee in the event of mental incapacity or death. Do you know what your Deed says on the subject? Have you made all the payments on your internal or third-party loans, have you looked at options on prepaying interest or fixing the rates while low. Have you made sure all payments in regards to Limited Recourse Borrowing Arrangements (LRBA) for the year were made through the SMSF Trustee. If you bought a property using borrowing , has the Holding Trust been stamped by your state’s Office of State Revenue. Firstly nothing to scary but some stings in the tail. Mr Swan and Superannuation Minister Bill Shorten fronted announced a tax exemption on superannuation earnings supporting pensions and annuities will be capped at $100,000, and anything above that level taxed at a rate of 15 per cent from 01/07/2014. The $100,000 threshold will be indexed to the Consumer Price Index (CPI), and will increase in $10,000 increments. -　For new assets that are purchased after 1 July 2014, the new limits will apply to the entire capital gain. Accordingly, the government will bring forward the start date for the new higher concessional cap of $35,000 to July 1 for people aged 60 and over. Concessional includes employer SGC (9-12%) and Salary Sacrifice. Individuals aged 50 and over will be able to access the higher concessional cap of $35,000 from the current planned start date of 1 July 2014. The general concessional cap is expected to reach $35,000 from 1 July 2018 for those under 50. Mr Shorten said the government will reform the system of excess contributions tax (ECT) that was introduced by the former government in 2007, to make it fairer and give individuals greater choice. Under the current arrangements, concessional contributions that are in excess of the annual cap are effectively taxed at the top marginal tax rate (46.5 per cent) rather than the normal rate of 15 per cent. Now you will pay tax on the excess contribution to match what you would have paid at your marginal tax rate. for example if you are on the 37% tax bracket you would pay ECT at 22% rather than 30% if you had to pay it on the top marginal rate of 45% (plus Medicare). Instead of the concessional treatment of Account Based Pensions currently for those accessing an Aged Pension, they will be deemed like normal assets. This will affect those on the borderline of $55K income for a single person and $80K for a couple who previously benefited from deductible amounts on their account based or allocated pensions. Mr Swan also announced the Gillard government will establish a Council of Superannuation Custodians to ensure that any future changes are consistent with an agreed Charter of Superannuation Adequacy and Sustainability. As always please contact me if you want to look at your own particular situation and we will break it down in plain English for you. We have offices in Castle Hill and Windsor but can meet clients anywhere in Sydney or online via Skype. Liam Shorte is a partner in NextGen Wealth Solutions, Corporate Authorised Representative of Genesys Wealth Advisers Limited, Licence No 232686, Genesys Wealth Advisers Limited ABN 20 060 778 216.